Tournament organiser StarLadder was announced as the company in charge of the upcoming PUBG Europe League earlier this month, and now it has released details for the regional competition. In partnership with PUBG Corp., there will be three phases of the tournament throughout the 2019 season. There will be five leagues in the competitive structure based in the EMEA (Europe, the Middle East, and Africa) region: the PUBG Europe League with 16 teams, a Contenders League with 32 teams, Open League Europe: West, Open League Europe: East, and Open League Middle East and Africa. The qualifying system is made up of regional online qualifiers and a LAN qualifier. The online qualifiers will be split into three regions – Middle East and Africa open qualifiers will take place over October 27-30th, Europe: West over November 3rd-6th, and Europe: East over November 10-13th. These open qualifiers will lead to LAN qualifiers at the Kiev CyberSport Arena in Ukraine, which will have both a group stage and final stage. The teams that place in the top 10 in the final stage will make it to the inaugural season of the PUBG Europe League, and teams who place 11-16th will land in the Contenders League. This qualifier will span over December 10-16th. 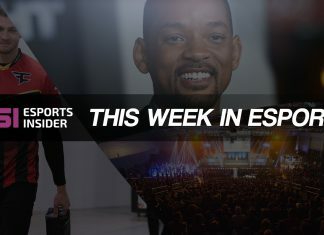 Esports Insider says: It’s great to see PUBG Corp. and StarLadder making the European Pro League so open for teams; there are no invites, only teams which perform well will make it through. This provides a good opportunity for unproven, amateur teams to make a name for themselves and offers a clear path of progression to becoming professional.